Every athlete gets injured from time to time. It is an unavoidable side effect of physical activity and exercise, and can sideline an athlete for weeks or even months depending on the severity of the injury. Needless to say, being sidelined for weeks or months at a time is not ideal for any athlete. At Starkwood Chiropractic, a Portland Oregon chiropractic clinic, we take a holistic approach to treating and healing sports-related injuries. 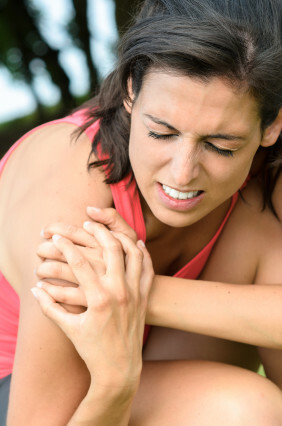 Injuries most commonly occur in the ankles, knees, backs, shoulders and elbows. Chiropractic care can successfully help those areas heal and recover their pre-injury strength. It can also go a long way in helping to prevent future injuries. Whether it’s a sprain, muscle strain or you just have inflamed joints or muscles, our skillful Portland chiropractors can help you recover quickly and naturally from your sports related injury. All over the country, more and more professional organizations are realizing the benefits and advantages of utilizing regular chiropractic treatment. For example, the Players Association of the NFL includes chiropractic care in its sports medicine routine. Many famous athletes swear by the effectiveness of chiropractic care for managing and preventing injuries. Emmitt Smith saw a chiropractor regularly for much of his storied career, and he believes it was a big part of how he was able to stay healthy and competitive for such a long period of time. Misalignment of the spine can cause a number of physical problems, and can put added strain on certain joints and ligaments. We can perform soft tissue therapy and spinal adjustments that will loosen your muscles and restore your body’s natural, symmetrical alignment. Our chiropractic care will keep your body healthy and return your injured or misaligned muscles, ligaments and joints to their natural positions. Our experienced Portland chiropractors are also experts on nutritional health. We understand that nutrition plays a major role in preparation, endurance and even the prevention of injuries. We can provide you with professional counsel on how to best prepare your body for athletic activity. Our chiropractors can also recommend a number of therapeutic exercises and stretches that can prepare your body for prolonged athletic activity and help prevent injuries. Whether you slipped a disk playing a game of basketball, or if you sprained your ankle taking a jog, our treatment can help get you back on your feet and active as soon as possible. With regular chiropractic care, you can improve your chances of avoiding sports injuries. If you are tired of letting your pain prevent you from enjoying the sports and activities you love, you don’t have to use pain medication. Chiropractic care is a safe and natural alternative that can help alleviate your pain and keep you in tip-top physical shape. If you are interested in our sports injury treatment, contact us for a free consultation with one of our skilled chiropractors.